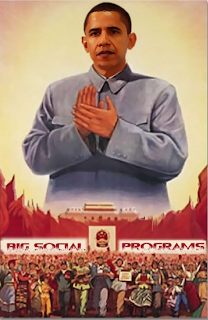 Classically Liberal: Bailout promises, Mao's famine and bad incentives. Bailout promises, Mao's famine and bad incentives. I suspect a lot of people are shocked by the blatant falsification of statistics by various government bureaucrats, at different levels, which gives a pretense to the Obama administration to claim their stimulus package created, or saved, jobs. I'm not sure why people are surprised at all. One of the problems with the bureaucratic system of management is that such self-reporting is often the criteria used to measure "success." The problem is that the incentives for the bureaucrats are such that they pushed to fudge the numbers, in whichever direction necessary, to please their superiors. In the bureaucratic system pleasing the overlords, is necessary for advancement. So it's best to tell them what they want to hear. Equally important is that government agencies, which report successes for their programs, often get showered with additional funding. Additional funding means more conferences for the top bureaucrats, often at resorts with very nice beaches. It also means more funding for pay increases and benefits. There are numerous reasons why it is "helpful" to distort the facts in a way pleasing to those who have power over you. Often the distortions are small, just an attempt to show something "positive," but as the distortions move up the bureaucratic ladder they accumulate and the distortions grow. A prime example of this, and the disastrous consequences that can follow, is found in Jasper Becker's book Hungry Ghosts. Becker's book is about the great famine in China from 1958 to 1962, where it is now estimated that 30 million people starved to death. And bureaucratic incentives to distort information had a lot to do with it. Mao was a moron, plain and simple. He believed that various Marxist principles could be used to produce bumper crops. Since the Maoists said that solidarity of the people made the people stronger, then the same applied to grains. Thus growing grains tightly packed together would make them stronger, not destroy crops. This was just one area where the Maoists tried to apply "scientific Marxism" to the physical laws of agriculture—applications that failed over and over. So these experiments were dismal failures. But such failures are not enough to lead to a famine. Other factors come into play. One such factor was the fear of the dictator. Mao's ideas failed but no one wanted to tell him. Tyrants could easily confuse the message with the messenger. So the incentive was to lie. Local bureaucrats, instead of admitting that crops had been reduced, decided to write reports claiming that crops had increased. Those reports went to the superiors. The superiors, not aware of how much of the report was bluster, combined these exaggerated reports together. And they, thinking the reports were accurate, saw no harm in making them look even better by increasing the crop yields. And so it went. As the "data" accumulated it appeared that scientific Marxism was a success in agriculture. The top echelon of Mao's China got reports that made them very happy. Desperate for hard currency the Chinese officials decided to take advantage of their bumper crops and sell them outside China. So they confiscated a large section of what crops did exist for export. This meant that food was scarcer at the local level as the farms were depleted of their stock to fill the quotas for export. A year goes by and the next set of reports have to be prepared. Again no one wanted to be the first to prick the Maoist bubble. Nor did anyone want to report they had failed, not when everyone else was apparently so successful, as the reports clearly indicated. So once again they took the figures from the year before and added a bit to them. And the process repeated itself. At the top levels of the government Communist officials received more data, carefully collected from across the country, indicating an even larger crop than the year before. So the quotas for export were increased. More food was confiscated. But a problem arose. You can't confiscate food that doesn't exist. Authorities scoured the countryside and couldn't find the crops that supposedly existed. The conclusion they drew was a simple one: the farmers were greedy, counter-revolutionaries who had obviously hidden the bumper crops. They were attempting to sabotage the revolution. So the officials, convinced the farmers had hidden food somewhere confiscated all the food they could find—which was actually all the food there was. The farmers had no hidden stocks, the data was wrong. The cumulative effect of lots of small distortions produced a massive error which resulted in the deaths of millions. Can't the same thing be found in private industry as well? Yes, but to a much more limited degree. For instance I know a publication which faked its circulation figures, claiming numbers double the actual figures. Advertisers paid on the assumption that the number of responses would be higher than they actually were. The advertisers who could accurately measure the results tended to drop their ads. But some businesses had no method of determining results from their ads and they tended to stick around as advertisers where the others didn't. The difference is in how results are measured. The private sector has a "bottom-line" which tells the superiors everything they need to know. If something is working it shows up in increased profits. If it isn't working it shows up in reduced profits or losses. (For a good exposition on the differences between profit management and bureaucratic management see Bureaucracy by von Mises.) The more a business is able to use the "bottom-line" the harder it is to fudge the reports according to the benefits that accrue to those making the reports. Government tends to shun profit management and has no bottom-line. Attempts to quantify the data are distorted by the incentives of the system. The net result is that even well-meaning superiors find it difficult to make rational decisions because the information they use has been distorted by the system. While Mao could be a tyrant I don't think the evidence indicates the starvation was intentional—as opposed to Stalin's planned starving of the kulaks in the Ukraine. Eventually the situation got so bad that someone told Mao the truth and the situation changed. 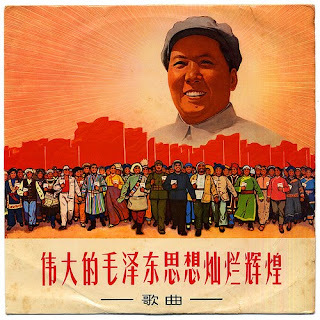 However, Mao's moronic Marxism was sufficient to create the crisis and the bureaucratic system made the situation worse by distorting the facts. And Mao was clearly a willful killer who ran a system that murdered millions intentionally as well as unintentionally. The key point is that such distortions are systemic in nature. They are built into the structure of the bureaucratic model of management. They are not determined by the motives of the bureaucrats per se. Good people, facing bad incentives, are still likely to screw up. Bad people, facing good incentives, are likely to do good things. The progressive Left errs by thinking intentions are critically important while incentives are a minor issue. Many of the errors of the socialist Left are derived from this one fallacy. By the way, this exposes the errors conservatives make about the Left as well. They assume the bad results, inherent in the system, are the result of immoral or evil motives by the Left. Typically that is not the case. A second, similar error of the conservatives, is that they buy into the Left-wing assumption that motives matter. So the Right will claim that putting "moral" people, "Christians" or "conservatives" into the system will change things. It won't. In the past, before they were taken over by theocrats, the Republicans claimed that putting "businessmen" into office would give us business-like management. That wasn't possible. The problem is not personnel but incentives built into the system. posted by blog owner at 11/08/2009 06:14:00 AM DiggIt! Reddit Del.icio.us Slashdot It!